Good Morning! Thanks for joining me and my fabulous Design Team for another sketch challenge! There is so much to say and share so I hope you have your steaming mug and you're ready to stay for a little while. 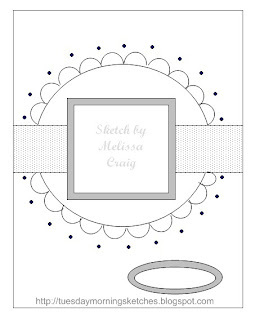 First let me say how excited I am to have Melyssa from Whimsie Doodles sponsoring this week's challenge. I adore her images and have several in my collection! 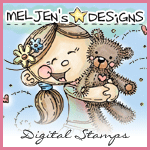 Melyssa does some amazing work, her cards are, well -- AMAZING! Are you ready for the sketch? Here you go! I love this sketch. 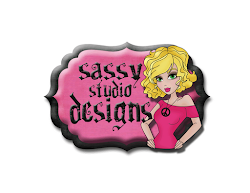 It is so versatile and you'll see just what I mean as you scroll down and see what the design team created. I am also lucky enough to have a beautiful card from Melyssa, too. And she had her DT play along so be sure to go check there's out as well!! This is Melyssa's card - great, huh! I have these button sentiments and they are so cute! 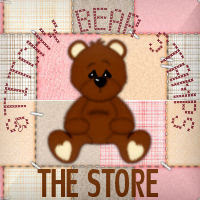 They work great by themselves as the focal point or as an embellishment. Thanks for playing along Melyssa. 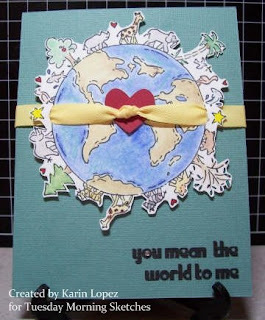 This super cool card was created by Karin. And what a fantastic sentiment. She means the world to me, too. But isn't this awesome? The world with the animals is ONE stamp. And all that cut work she did. So very cool! Great job, Karin! My husband loved this card from Theresa. This is so lovely and features the soft style of Theresa. The bird is from an Inkadinkadoo set and the flower in the background is actually a half stamp from Stampendous of a big daisy. She stamped it twice and then put it together. Fabulous!!! Joni double-dipped as a Design Team member. 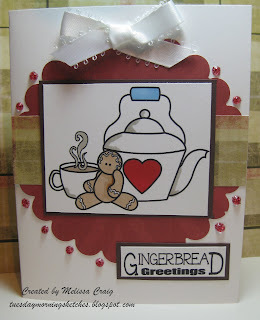 She created this adorable card with an image from Whimsie Doodles because she's also a DT member for them. 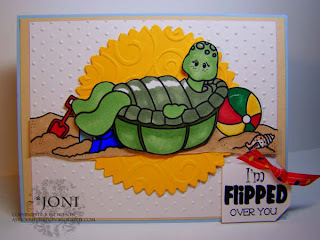 I love how she used a beachy border as one of the sketch elements. So cute! And here's mine. I fell short of all the other fabulous cards ahead of mine. This is also a Whimsie Doodles image. One of my favorite things in the whole world are tea sets and who doesn't love gingerbread men? This was such a fun and super easy card to put together. Now for more exciting news! This week's challenge is a Judged Challenge. 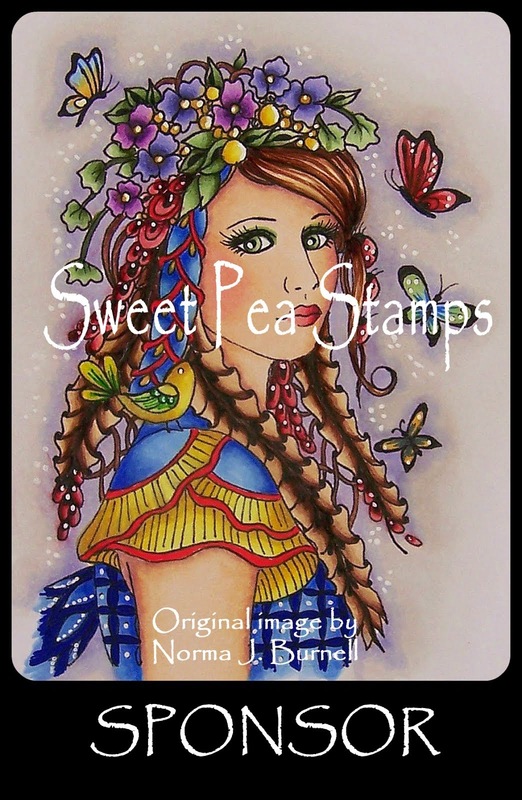 That means that the winner of this week's challenge will not only win Melyssa's fabulous prize but he/she will also be a featured stamper on this blog in the challenge that will be posted on August 4th. So do your best work - but do have fun!! I can't wait to see what you all come up with. Ooooh! You are sooo right - the different interpretations of this sketch are so fabulous! I love love Melyssa's button sentiment, Karin's one world is sooooo stealing my heart, Theresa's precious bird on a daisy is absolutely adorable and OMWord - your gingerbread card is so super warm and cozy! Love love love it all - I am so excited to see all the entries this week! holy moly! these cards are awesome! Great sketch! I love everyone's cards!! Great sketch and DT cards.... fabulous! I have linked my card. great sketch~ glad to be back and playing after a vacation! And *BONUS* my card is done! Any fun week - keep up the good work Melissa! Another great sketch, Mel! Keep em coming! and your design team did a fabulous job! Loved this sketch! Great design team work ladies! Great sketch and tough challenge for me! I don't know why...maybe all those shapes within shapes.LOL! Great cards by all of the DT and I love how everyone interpreted ths sketch! 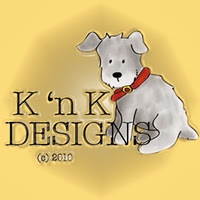 I love the sketch and I'm so glad I found your blog!!! Awesome sketch, Mel! I had fun using it to help catch up on Christmas cards!! YAY!! So glad I found you!! Love the sketch, and I love'd playing along! Such beautiful cards created from the same sketch. So glad so many folks are playing along! This challenge is now closed. If you'd like to play with the sketch, please do, but join us on Tuesday for a chance at an awesome prize.